This post is written by Cassandra Good. Cassandra Good graduated from the University Honors Program with a bachelor’s in American Studies in 2004 and with her master’s in American Studies in 2005 through a combined BA/MA program. She interned at the Smithsonian while at GW, then worked there for two years after graduation in new media and research. 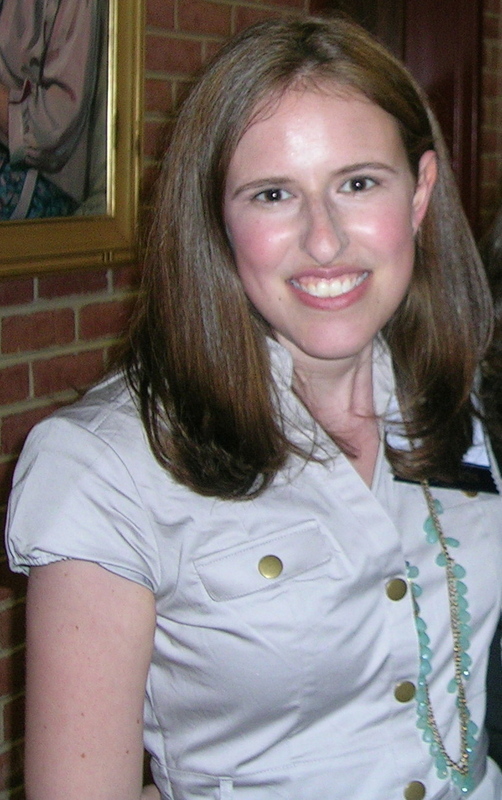 She received her PhD in History from the University of Pennsylvania in May 2012 and is now Assistant Editor at the Papers of James Monroe at the University of Mary Washington. My path at GW, and especially in the UHP, was unusual—but then, part of what’s great about GW is the opportunity to follow the path that works best for you. I arrived planning to major in English, but by my second semester I realized that my real passion for literature was understanding how it reflected and shaped history and culture. I found American Studies, a major I had never even heard of, and dove headlong into courses in that department. So I had two intellectual homes at GW, in townhouses then down the street from each other on G St, at the UHP and American Studies. I still remember how much I enjoyed the intellectual rigor of my honor’s classes, particularly a proseminar I took on the philosophy of progress that to this day was one of the hardest classest I have ever taken—and the most rewarding. I also took both semesters of Justice and the Legal System, which helped me understand much of what I had seen the summer before interning at the Supreme Court. But the most lasting thing I have taken away from my experience in the UHP is the close friendships I formed in those classes and the halls of Lafayette, then the freshman honors dorm. The friends I made in the UHP—many of whom I’m still close with—were ambitious, intellectual, and creative people who have since gone into great careers in which they are making a real difference. Through the UHP and American Studies—and lots of AP credits—I was able to do a combined BA/MA in American Studies in four years. It put me in great shape to get a job at the Smithsonian when I graduated, and even better shape to do a PhD program. I wrote my senior and masters theses at GW on early American history, and pursued that in one of the top PhD programs in that field. I’m now working for the Papers of James Monroe, a project which transcribes, annotates and publishes Monroe’s letters. I’m also working on turning my dissertation into a book, which will be about friendships between men and women in early America. The spark for that project actually came from research I did at GW—and from the amazing friends I made there.